Thank you so much for entering the past 2 giveaways! because we have THAT much to give away! 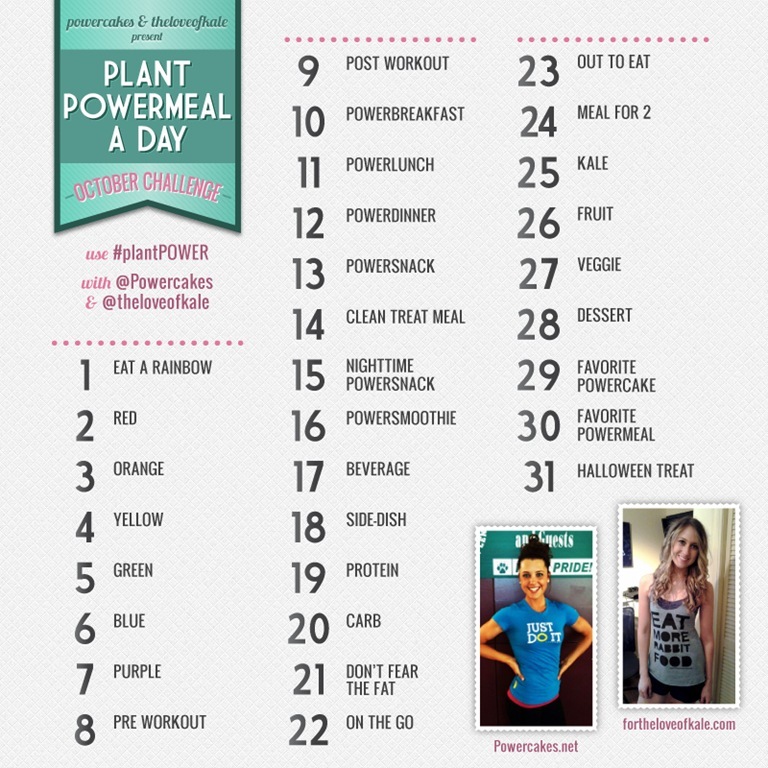 Today’s #plantPOWER topic is POWER BREAKFAST! & we all know that breakfast is so important to jump start your day! *Mix all ingredients – it’s that easy! I’m not opposed to oats- I’ve been eating my oatmeal almost daily for breakfast again! Also, I’ve been wanting to update you on how I’m feeling on my plantbased diet! I have to say…I feel amazing. If you have the next 16 minutes & 57 seconds free, proceed to learn more here! *Also, this is how I personally am feeling. 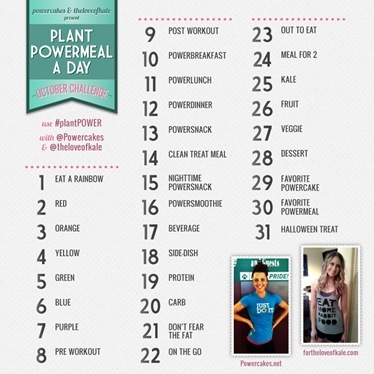 What is your favorite powerbreakfast?! 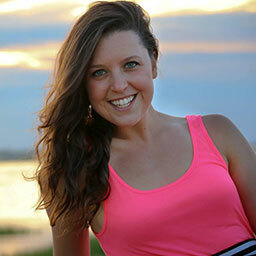 don’t forget to check out Heather’s post for another GIVEAWAY!! Special thanks to our #plantPOWER Supporters!! #MeatlessMondayNight with Silk! & High Protein Power Peanut Butter Dip. 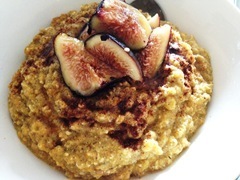 One of my favorite power breakfasts right now is pumpkin pie oats! Love all of the great info in your vlog! Well, no matter how ‘clean’ a person is eating, egg whites are notoriously hard to digest and will often cause terrible digestive problems for many people. I experienced exactly the same bloating, cramps, pain and, in my case, throwing up when I used to eat them. I cringe when I see how many eggs and whites people get through in a day because I just cannot handle them. I appreciate this challenge is about food, but if you’re one of the creators then perhaps you shouldn’t be so pleased about having a shellac manicure. You might be following a plant-based DIET, but shellac is derived from crushed beetles. It is most definitely not vegan, nor is it part of a vegan lifestyle. I appreciate this is all about #eatclean etc. but it seems a bit superficial to me to make veganism solely ‘about’ food. There is so much more to it than that: what about the ethical implications of other parts of your life? I know you are not labelling yourself vegan but a more holistic approach would have been to adopt other positive life aspects beyond just having flat abs and looking good. Veganism has an ethical framework that goes well beyond what you eat. Hi Jess, I appreciate your response. In my vlog I made sure to state that I do not label myself any type of eater. I do not call myself a Vegan because I don’t 100% live that lifestyle and I admit to that. I choose to not label myself anything. I am Kasey, a girl who likes to get her nails done, and after 10 years of living with stomach issues, is super happy with how a plant based diet has helped. I am not talking about having abs, I’ve always been one to not focus on that. I was simply saying in my video that my abdomen area used to be super bloated at all times and now that I’ve removed animal protein from my diet, that hard bloat has drastically reduced. I repeat that I feel amazing on the inside thanks to adopting more plant based foods into my diet. I don’t ever feel comfortable labeling myself anything because I choose to try different foods to see how my sensitive stomach reacts with hopes that I can help someone who may be having similar stomach issues. I understand where you’re coming from, but this challenge is not a vegan challenge. This is for everyone to try to incorporate more plant based foods into their day. My family is currently doing meatless dinners – but do not eat 100% meatless throughout the day. And they’ve noticed changes in how they feel – based on those small steps! I think it’s great! Anyone participating in this, we never asked to go 100% vegan. That was not the message here. This was simply called “plant powermeal a day” to show how plant based foods can be healthy and hearty as well as healthy for people looking to incorporate more plant based into their diets. I apologize if my nails, or any other comment I made, offended you and your belief’s. That was not and is not my intention by any means. I’m simply sharing my story of adopting new foods into my diet and being honest with how my insides feel. Thanks for posting such a respectful reply, and for not deleting my comment (I am sure many would have). My confusion came from the use of ‘plant based lifestyle’ vs. ‘plant based diet.’ I just get a lot of criticism myself, for being overly sensitive to anything and everything vegan, a lot of assumptions that it’s all about controlling food or weight or body-image related things. It’s hard when people say they are veggie and eat seafood, or vegan but don’t mind wearing leather boots (not you, just an example), because then when someone else wants to be more strict/in line with the term, they are labelled as being awkward. However, I do appreciate that you repeatedly said you did not want to label yourself. I think I let my frustrations at my own experiences with veganism spill over into my comment, which became a lot more critical than I orginally intended, and overly harsh. For that I truly apologise. @ Diana. Thank you for calling me out on this one with such grace: I truly deserved it and I know with my attitude I will never be the slightest bit inspirational. @ Jess – I don’t think it’s nice to criticize others or assume things of others. I say we all just share information and educate each other in a loving manner and each of us can make our own decisions about what’s best for us. It’s a lot easier to inspire others when we do it out of love for each other. This recipe sounds great! I am still trying to figure out if chia seeds are causing me to have digestion problems, but I will definitely give this recipe a try! I have been following along your journey to figure out what is causing your digestive issues and as someone with major digestive issues I can seriously sympathize with you! This is always an interesting subject for me! I’m so happy to hear that you are becoming regular again! Congrats! omg, we both had figgy breakfasts! twinsies again! love your attitude and your enthusiasm for adopting the aspects of different diets that work best for YOU and make YOU feel good. i think that to *whatever* degree people can go more plant-based than they were before, that’s a great improvement, and it’s not about “converting” more people to veganism. not to say that veganism isn’t a great choice — it IS! — but people have to do what works for them, and we live in an extremely complicated world, where it’s hard to get all the information about how things are processed and what the ingredients are in all of our foods, textiles, cosmetics, etc. i didn’t know this information about shellac and beetles, so it’s great that this blog was a forum for other people learning that as well — but i am just like you, not ALL of the choices i make are plant-powered ones, but i am proud of myself for whatever progress i do make! congrats to us both, girl! Thank you so much Megan! <3 I totally agree with you- My whole point with my blog is to share MY story to hopefully help someone else who is dealing with similar issues. I love learning new facts, like I had no idea about the shellac! Now I know. I never once label myself anything but “Kasey” because I’m truly just being myself and sharing what I personally go through! Thank you for posting this babe and keep up your amazing work! Love this recipe! One of my favorite breakfasts is a two ingredient pancake with 2 eggs, 1 mashed banana. Topped with sun butter! Awesome girlie!! I LOVE sun butter!! 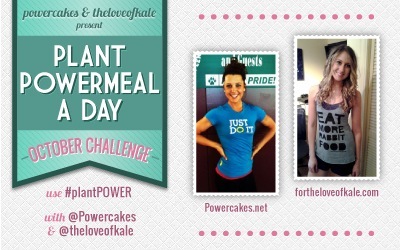 Haters gunna hate, we love you Kasey keep the #plant power meals coming! The recipe sounds awesome! Love my coconut flour! I’m seriously obsessed with it, can you have a coconut flour addiction? I possibly have one. I agree, its about what is finding what is right for YOU. Just because something works for one person, doesn’t mean it will work for another. And we should all support and appreciate each others different lifestyles, because that’s beautiful that we are all different people. Keep searching for what works for you! Love the recipe! I always watch your entire videos! Haha you crack me up 😀 Anyway, I have been dealing with bloating and crazy digestive issues for a while myself. My doc told me I had IBS, but it’s still not better. I actually used to be a pescatarian for about three years, so this is very intriguing to me! Glad to hear you are feeling a lot better. I still love vegetarian and vegan foods and experimenting, but lately I’ve been going with the meat and eggs since they are so easy! I’ll definitely try to incorporate more plant-based meals and see how that goes. Thanks for this! I made this recipe this morning and loved it!! Thank you for continuing to be such a positive motivation for all of us! you are too cute- i love your videos. i just want to chime in and say something that i found about bloating: when i start my day (first meal) with eggs and veggies, i have a LOT of bloating/cramping, especially when broccoli is involved. but, when i cook my eggs with coconut flour and have yogurt (no veg) i dont have any bloating at all. BUT when i eat eggs with veggies for lunch or dinner- NO bloating. 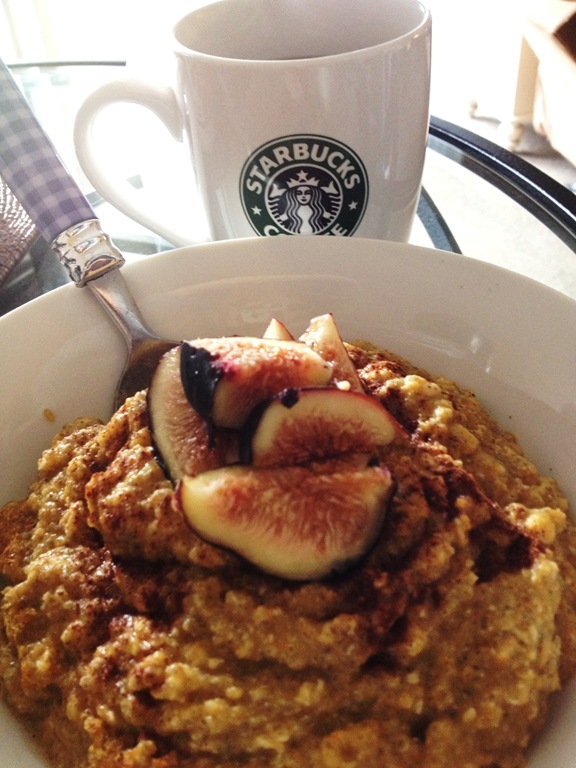 when i use to eat oats with eggs- i would have serious digestive issues as well. i also found that if i start my day with a huge amount of protein and fat nd moderate carb, then the rest of the day i’m not a blood sugar mess- so when i DO get hungry i’m not shaking out of control. i just feel the normal hunger.. I love figs and pumpkin! Silly question, but do you need to microwave this?